Posted by Unknown at 9.11.17 Be the first to comment! Unish Kuri Bengali Magazine has been published from Kolkata, West Bengal, India on 4th January, 2017 . It is so popular Magazine in between women’s and young girls of India, Bangladesh and so many Bengali community people all over the world. This issues inner history are teen hair style, fashion beauty tips career guide etc.. Readers now get this Bangla magazine as pdf from this page link below. Posted by Unknown at 17.3.17 Be the first to comment! Megh Bhanga Roddur by Md. Shafiqul Islam, Shafiqul Islam is a Modern Bengali romantic poet of Bangladesh and He famous also all Bengali regions. Shafiqul Islam is a Modern Bengali romantic poet in Bangladesh and also all Bengali regions. He is most popular in all youth and young generations. He is Ex Metropolitan Magistrate and Ex Additional District Magistrate, Ex General Manager at Bangladesh Road Transport Corporation, Now Deputy Secretary of the people’s Republic of Bangladesh. He is a Poet & Lyricist of Bangladesh Radio and Television. He has Awarded Bangladesh Council Literature Award and Nazrul Gold Medal Award for his poetic excellence. He has been Written some romantic Books of poetry are Tobuo Brishti Asuq (Thirst for Rain), Shrabon Diner Kabyo (Song of Rainy Days), Megh Bhanga Roddur (Sunlight on Cloud), Dohon Kaler Kabbo (Verses of fiery Days)and Protoyee Jatra (Indomitable Journey). 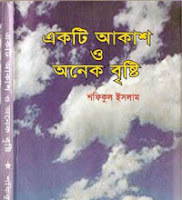 Readers can collect Megh Bhanga Roddur poetry book from this page. Bengali (Bangla) Comics - Handa Bhonda, (Hada Bhoda) Nonte Fonte and Batul the great of Narayan Debnath as ebook pdf Free get from this page. Bengali (Bangla) Comics written by - Narayan Debnath. Bengali Comics are Handa Bhonda, Hada Bhoda, Nonte Fonteand (Bantul the great) Batul the great we have seen from near about 40 years ago when We are belongs childhood and now continue. All Bengali Comics are very nice, delightful and charming. We are always reading very attentively and were going to library one day in a weak. Now our child's are reading. But now change the motive of learning. Now most of readers are reading those books from internet in own house. So now is very necessary the ebook in our daily life. Readers Now you can collect the all ebooks as pdf from this page below here. 01.Nonte-fonte Hada-Bhoda in ebook Pdf. 02. Hada Voda as Doc. .
03. Batul The Great as doc. 04. Batul The Great as PDF. Posted by Unknown at 11.3.17 Be the first to comment! Unish Kuri 19th February, 2017 in PDF e-magazine. Unish Kuri 19th February, 2017 in PDF Magazine. Unish Kuri Bengali Magazine has been published from Kolkata, West Bengal, India on 19th February, 2017 . It is so popular Magazine in between women’s and young girls of India, Bangladesh and so many Bengali community people all over the world. This issues inner history are teen fashion beauty tips career guide etc.. Readers now get this ebook magazine as pdf from this page. Posted by Unknown at 9.3.17 Be the first to comment! Ekti Akash O Anek Brishti By Poet Shafiqul Islam pdf ebook. Md. Shafiqul Islam is a most popular poet in Bangladesh. He has written so many Bengali poem in so many angel. like as romantic and Modern activities. He has highlighted the different forms of love in this poetry book. He has been captured 60 poems in two cover. Love and beauty of nature, the main source of attraction to the human mind is forever. Poet Shafiqul Islam more highlighted in this poetry book. He has been Written some romantic books of poetry are Ekti Akash O Anek Brishti, Tobuo Brishti Asuq (Thirst for Rain), Shrabon Diner Kabyo (Song of Rainy Days), Megh Bhanga Roddur (Sunlight on Cloud), Dahan Kaler Kabyo (Verses of fiery Days)and Protoyee Jatra (Indomitable Journey).Readers can get this Ekti Akash O Anek Brishti poetry book from this page. Posted by Unknown at 1.3.17 Be the first to comment! Unish Kuri 4th January, 2017 in PDF E-Magazine. Unish Kuri 4th January, 2017 in PDF Magazine. Unish Kuri Bengali Magazine has been published from Kolkata, West Bengal, India on 4th January, 2017 . It is so popular Magazine in between women’s and young girls of India, Bangladesh and so many Bengali community people all over the world. Anandamela 5 January, 2017 Bengali Child Magazine in PDF. This magazine has been published from Kolkata, India. Now you can get this Bengali child magazine as pdf from this page easily. Anandamela 5 January, 2017 Bengali Child Magazine. Anandamela was first published on April, 1975. This magazine is most popular fortnight child magazine in West Bengal,India, Bangladesh. This Magazine is written in Bengali language. The topics are sports, comics,science, Adventures, astronomy story in this magazine every publication.